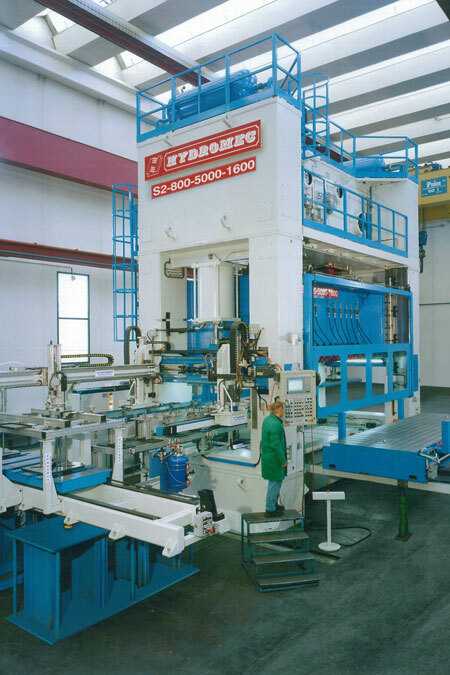 A relevant part of Hydromec production is the wide range of presses to stamp either stainless or ferrous sheet metal. 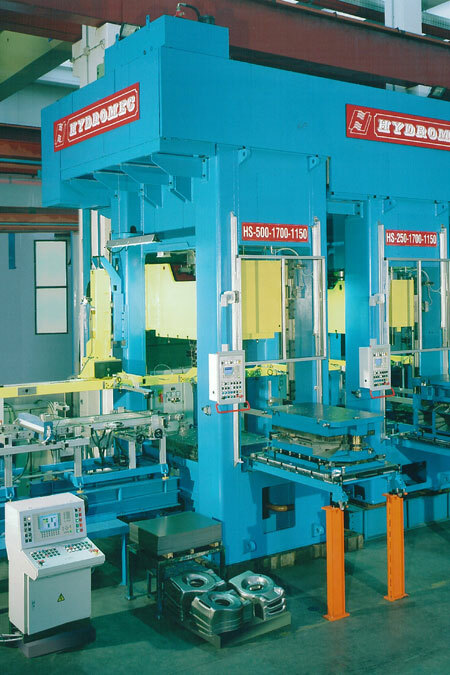 Hydromec can offer either mechanical or hydraulic presses, or use both types together, in order to ensure the best technological solution for any particular line. 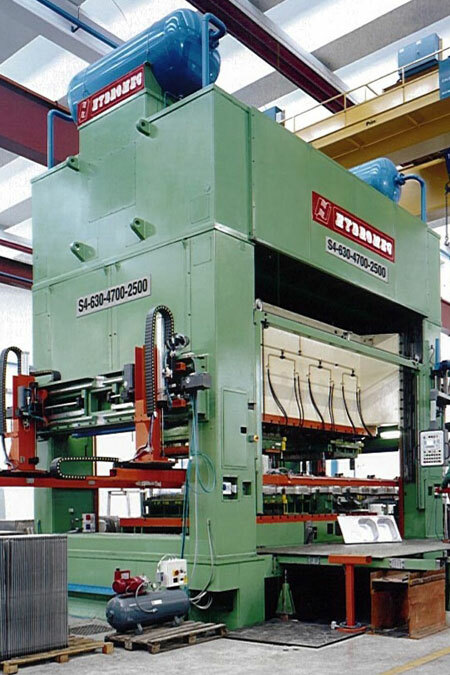 Particularly, completely automated lines have been carried out for the production of sinks, gas bottles, pots and stainless-steel parts of washers and dishwashers. 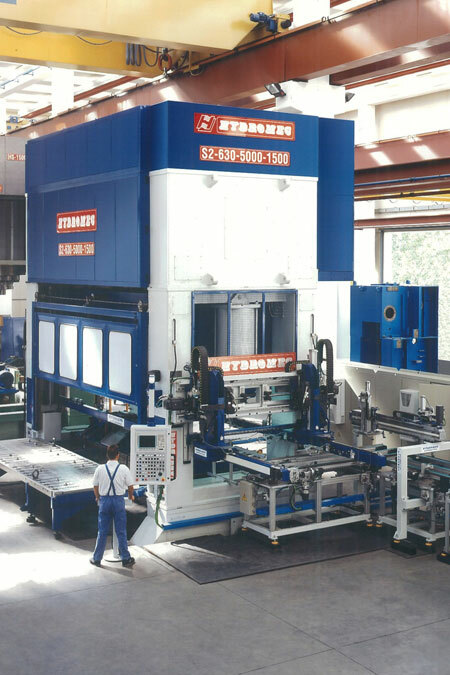 Other plants with wide dimension presses are built to manufacture components of automotive industry. 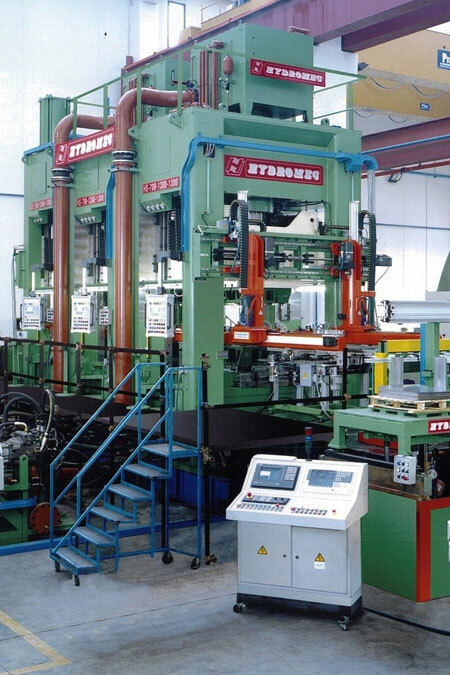 The tonnage goes from 1.000 kN to 25.000 kN. 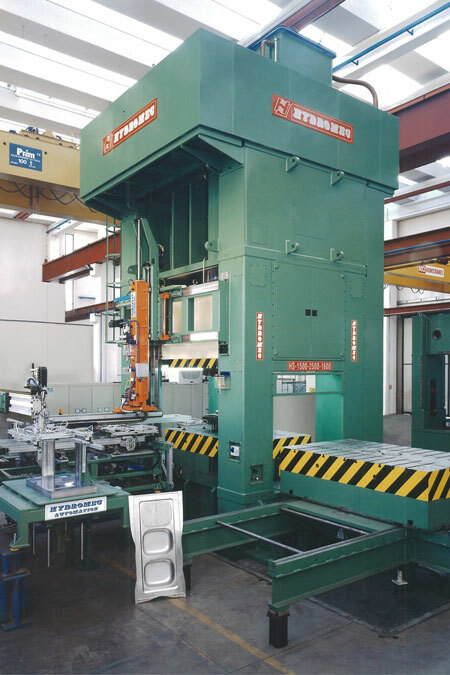 All the presses are equipped with different solutions for die changing, both automatic and semiautomatic, and integrated with Hydromec made automation systems. 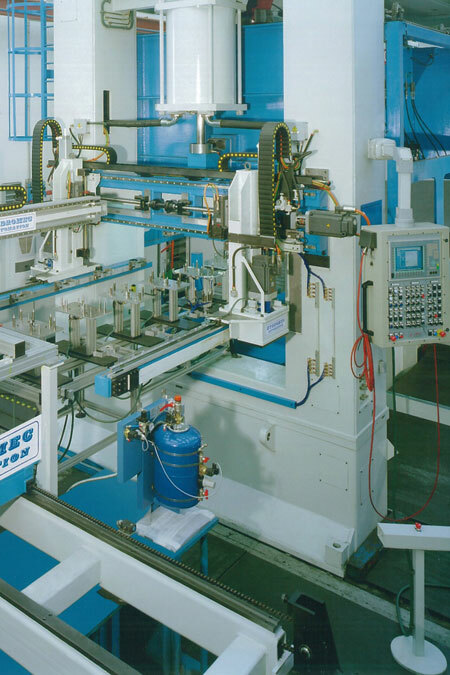 In order to supply fully automated plants, Hydromec designs and builds complete series of feeding and interlocking devices; therefore the customer can have one supplier only for his production line. 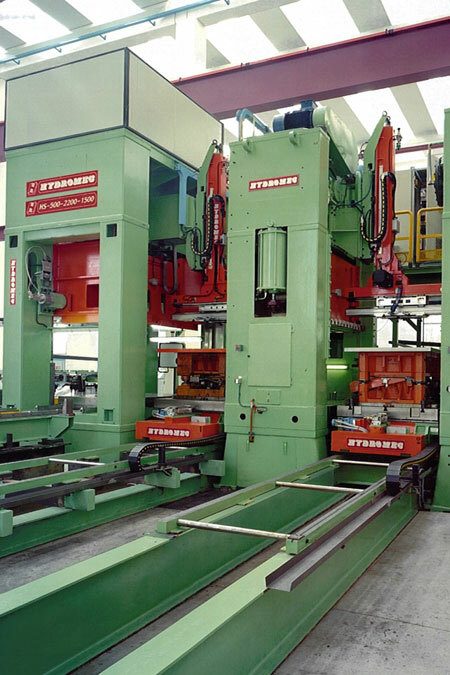 Considerable parts of Hydromec stamping plants are therefore sheet piles de-stackers, blanks centring devices, spray or rolls lubrication units, control stations for stamped pieces, electronically controlled bar transfers, loading arms and unloading ones and inter-press arms (all CNC controlled).